At no other time in history have so many people lived in cities: over half of the world’s population, to be precise. But of course, space in urban centers remains limited. Available housing cannot keep up to pace with the rate at which people continue to arrive. It’s a poor state of affairs that clearly calls for creative solutions. For years, architect Oke Hauser has been dealing with urbanization processes and unconventional solutions for the resulting lack of space. The frequent demand for affordable housing often leads to hasty solutions that turn out to be well-suited for the masses and far less so for individuals. Oke Hauser, creative head of MINI Living, shares his observation: “If you look at the urban spaces of the globalized world, you have to realize that there are actually only two living concepts which are currently being implemented on a large scale: building upwards in the most densely populated areas or outwards in city suburbs.” And for him, neither skyscrapers nor suburbanization offer the appropriate response to the issue of urban housing. Both are models that emerged with post-war Modernism—a time in which the needs for the living spaces were completely different from those of today. 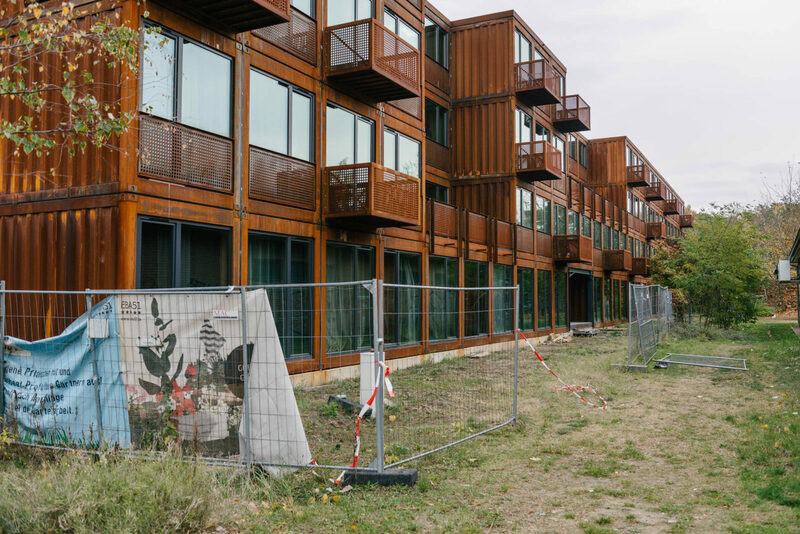 The container village in Berlin’s Treptow-Köpenick district is being realized by Holzer Kobler Architekten and financed by a private investor. A total installation of 400 containers is planned and will allow students access to different living situations: alone, in pairs or in a group of three. The rental price remains the same for those living alone. Additionally, the property will offer space for urban gardening projects and athletic activities. 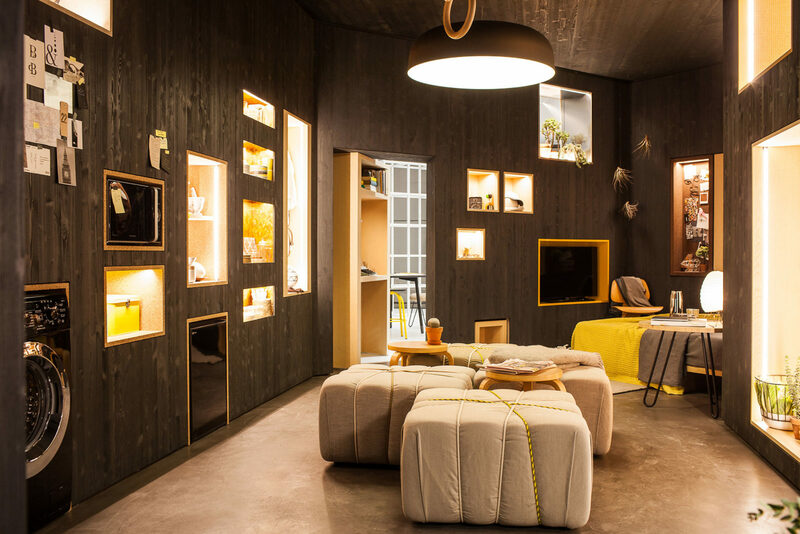 Oke and the team at MINI Living worked together with the Japanese architects ON Design and the Berlin-based engineers at Arup for the first public showing at the 2016 Salone del Mobile. 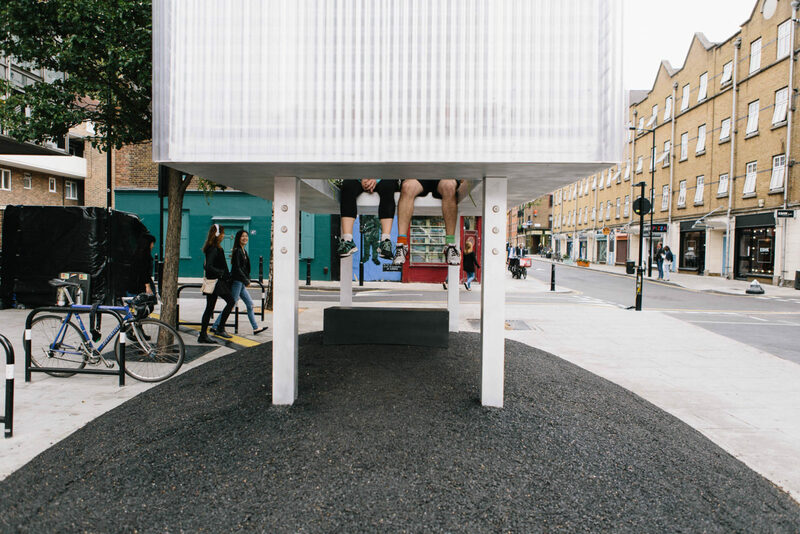 The result is an installation that demonstrates flexible living in a space of 30 square meters. 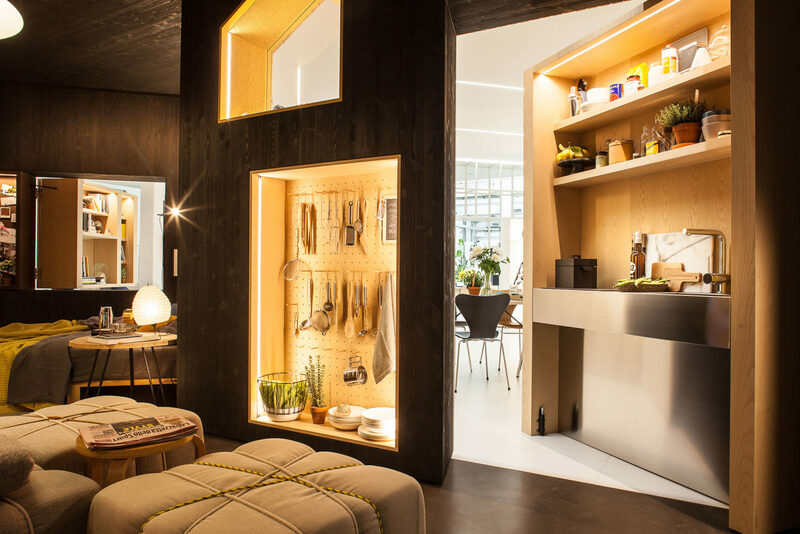 “Do Disturb”—the convertible wall modules, which incorporate necessary elements such as the kitchen, are intended as an invitation to disrupt. The modules connect the apartments with the micro-neighbourhoods, or conversely allow them a degree of separation. Residents are free to decide whether they want to be alone, or whether they want to open their housing to the immediate neighborhood and in doing so generate more contiguous spaces. A residential scenario like this one blurs the conventional boundary between the private and the public. For Oke, this is exactly what makes life in the city what it is. “Cities are defined by movement, by diversity and by exchange—we need spaces that allow all this to happen,” he explains. Stairwells and corridors don’t really count as such meeting zones. In these kinds of transition spaces there’s hardly more than a passing greeting and rarely do people feel compelled to spend time there. Nor do those spaces lend themselves as flexible expansions for personal living space either. 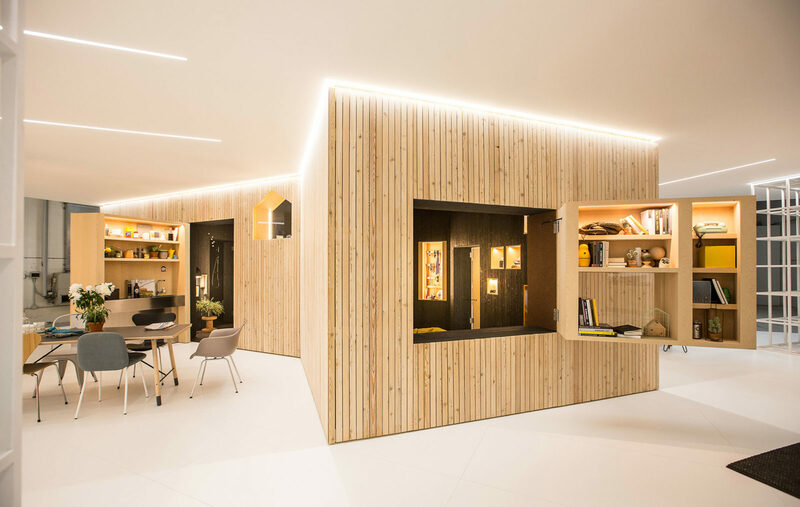 Spreefeld is the community project of 90 different private contractors and the Berlin-based offices of Carpaneto Schöningh, Fatkoehl and BARarchitekten were involved in its implementation. 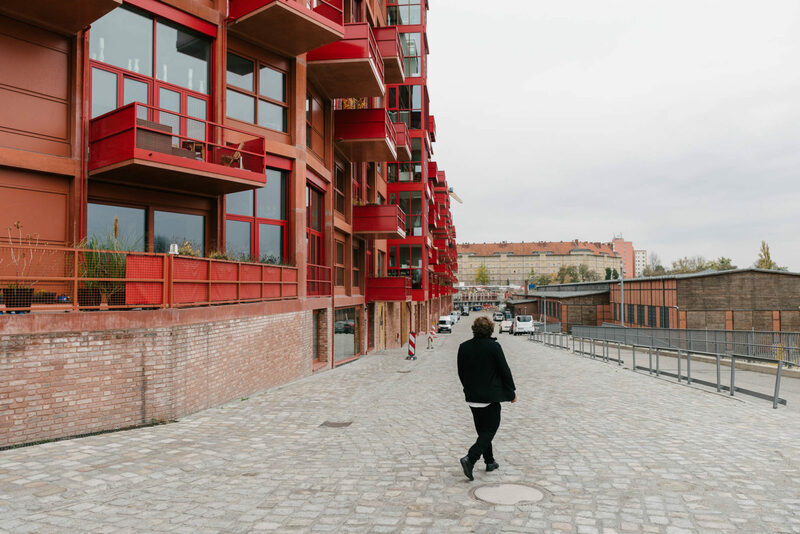 Not only the residents benefit from this visionary living concept as the western part of the project will maintain public access to the Spree. So what could meeting places be and what would happen there? “Encounters should stem from the needs of the people. How and where people meet can hardly be determined from ‘on high’,” says Oke. If you keep your eyes open, you’ll see that our needs are inscribed directly into the city’s surface. Worn paths, for example, make it apparent exactly how far the city’s determined routes are set from the actual movements of its residents. 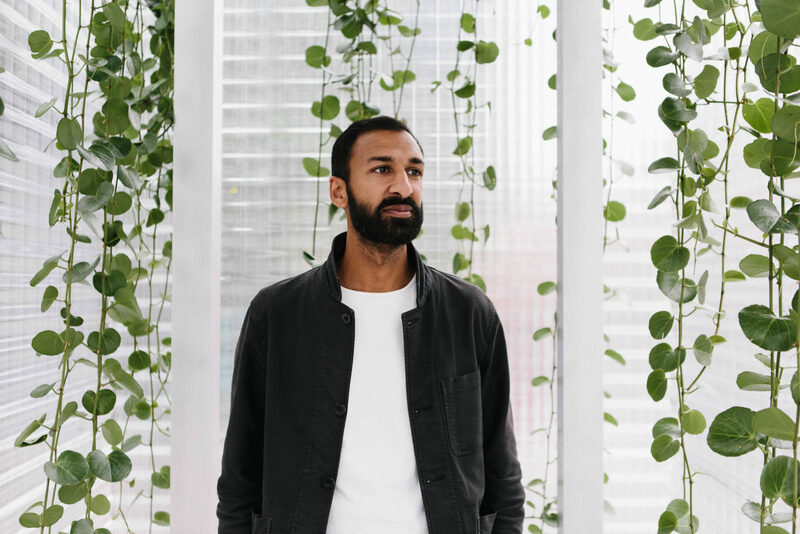 “We shouldn’t be merely using the city; we should be making something of it.” In Oke’s mind, to ensure that our physical environment can also meet the demands of a modern life in the city, we need a great level of involvement from the residents during the planning and design process. Right in the same neighborhood as the Spreefeld project, we find the Deutsche Architektur Zentrum, which views itself as a kind of conceptual laboratory and site for intellectual exchange. With regular exhibitions and events, the DAZ provides an important contribution to the debate on how we want to live in cities. The exhibition entitled “New Standards. Ten Theses on Housing” can be visited until January 22nd, 2017. Designed by the architectural firm Robertneun, this modern residential building consisting of 15 buildings with different types of apartments has its location in a place that was previously slated for commercial use. 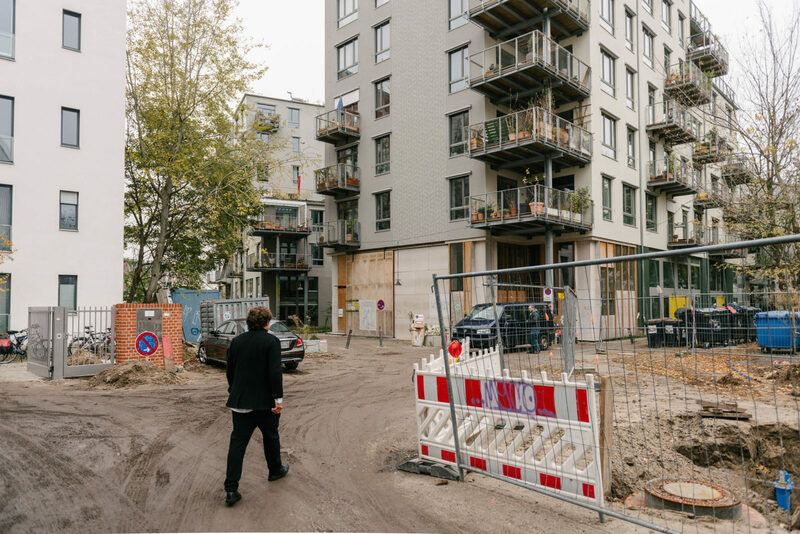 With the opening of the Gleisdreieckpark, it became clear that the area nestled on the border between the Schöneberg and Kreuzberg districts held much potential as an attractive residential space. MINI LIVING “Forests” Installation by Asif Khan. The Connect Space. 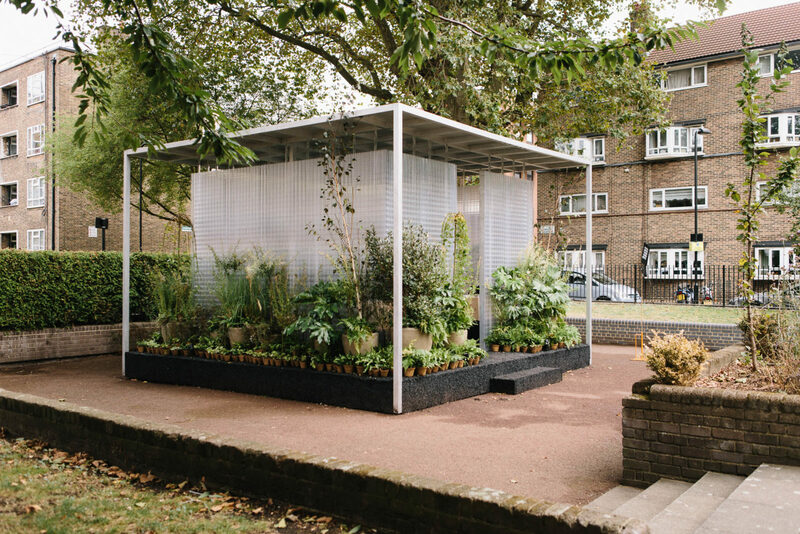 MINI LIVING “Forests” Installation by Asif Khan. The Relax Space. Berlin’s urban development is of course somewhat unique. Because of its past, the city has still enjoyed more freedom than other cities and its ‘city-making’ has a special history. 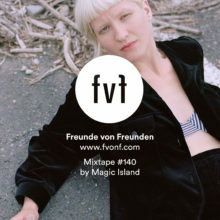 That’s also why Berlin is one of the most exciting places for Oke in terms of the development of living concepts: “I’m often in New York and talk to many architects there who are all totally fascinated by the idea of building assemblies. Nothing there really compares.” Another city that Oke is watching with great interest is Zurich—new types of housing projects that tend to a smaller scale are being developed there as well. 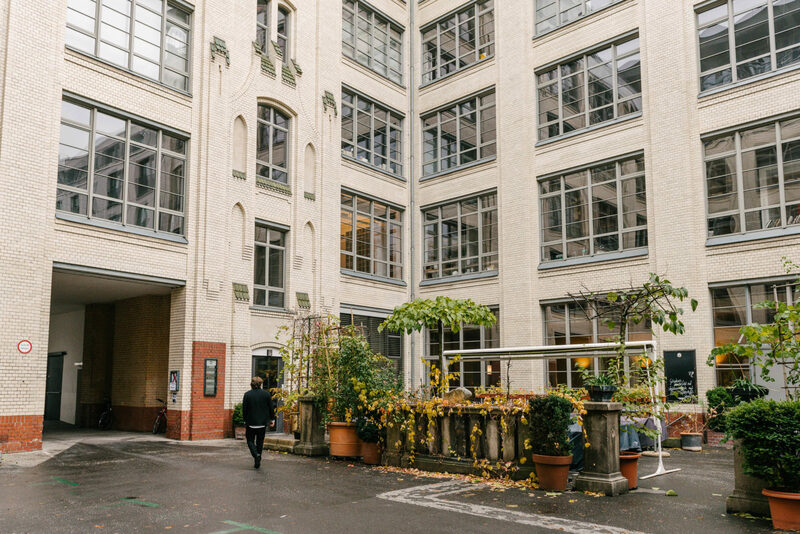 The cooperative known as Kalkbreite, for example, is striving for a degree of networking with the immediate surroundings as a publicly accessible residential building, all while its internal structures retain their flexibility with cluster flats (small apartments with access to common spaces). Additional space can be rented on a temporary basis. Built in the 1950s, the Corbusier house in Berlin is not referred to as the “machine for living” without good reason. 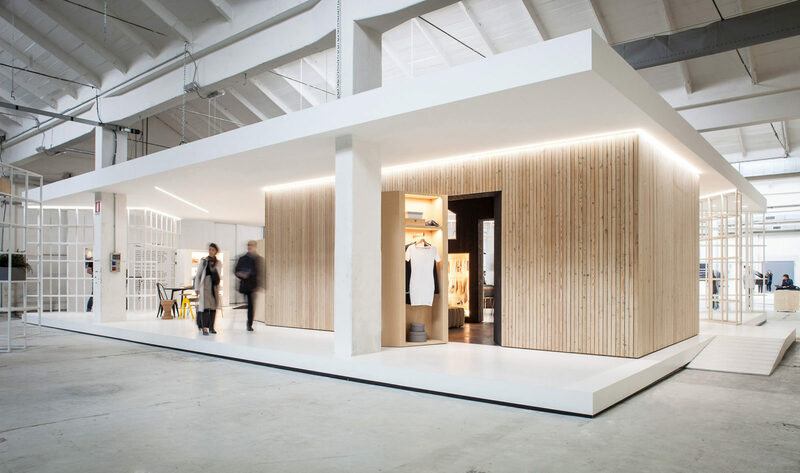 Previously implemented in Marseille, the Unité is still regarded as one of the most radical examples of serial construction and a precursor of prefabricated buildings. Borrowed from a more human dimension, the plots offer efficient space solutions but little room for individual needs. 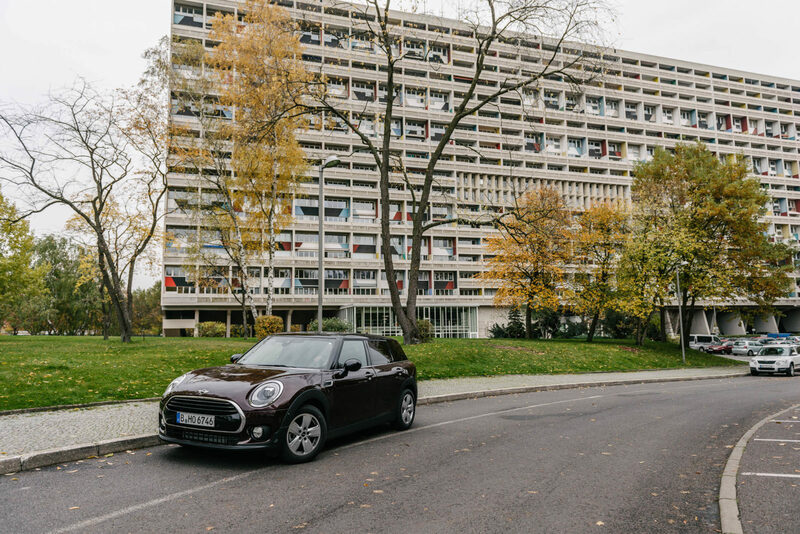 Thank you, Oke, for sharing your view of Berlin with us. To learn more about the work of MINI Living, read the interview with architect Asif Khan on FvF or visit the official MINI Tumblr.